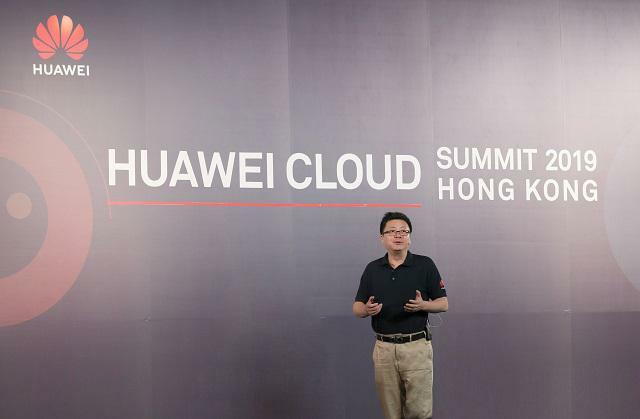 Hosting its 2019 Cloud Summit in Hong Kong today, Huawei announced it is strategically investing in the city and the region to contribute to the economic development of the Greater Bay Area by helping enterprises embrace the intelligent future of cloud computing and artificial intelligence (AI). The Summit has gathered together more than 1,000 customers, partners, industry representatives, and academics from Hong Kong, Guangdong, and Macau. 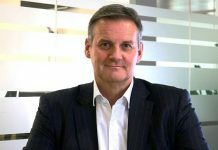 ▶ HUAWEI CLOUD’s enterprise intelligence (EI) full-stack AI solutions will be available in Hong Kong from the end of March, offering enterprises 48 EI services, including the one-stop AI developer platform ModelArts, optical character recognition (OCR), natural language processing, and video analysis. ▶ HUAWEI CLOUD is now offering blockchain services to help Hong Kong leverage blockchain’s characteristics of decentralization, irreversibility, and traceability to solidify its position as an international financial and logistics hub. ▶ HUAWEI CLOUD has expanded its footprint, becoming the first international cloud provider to offer three availability zones in Hong Kong to provide users with secure and scalable cloud services that are easy to deploy. ▶ IoT services are now available for all scenarios, providing secure and trusted three-step global access to more than 1,000 object models. ▶ The Huawei Enterprise Overseas Application Store will open in April, with more than 40 Independent Software Vendors offering 250 solutions in more than 16 categories to help users quickly purchase and obtain cloud resources and services. “HUAWEI CLOUD has six core advantages: most intelligent, most cost-effective, neutral and reliable, most suitable for organizations in the public sector and big enterprises, most expansive ecosystem, and best-in-class service and support. These six core advantages are built on Huawei’s aggregated R&D efforts and its core value of realizing customer-centricity,” said, Edward Deng, President of Huawei Cloud Global Market. With the most intelligent cloud, HUAWEI CLOUD provides full stack full scenario AI solutions. Huawei Cloud EI ModelArts development platform is ranked No.1 in the world for its training speed of image recognition, according to Stanford University’s authoritative international benchmarking platform for measuring end-to-end deep-learning model training and reasoning performance. HUAWEI CLOUD has completed more than 200 AI projects, serving Shenzhen Traffic Police Bureau, Sanlian Hongpu, and Kingmed diagnostics, among others. HUAWEI CLOUD offers customers a cost-effective cloud service through technological innovation. It delivers high performance at low cost, with a strong product portfolio composed of C3 computing instance, M3 computing instance, bare metal service (BMS), object storage (OBS), and more. Customers include Sina and Huawei Terminal Consumer Cloud. Huawei is neutral and reliable, with security being of paramount importance. HUAWEI CLOUD abides by the laws and regulations of all the markets where it operates and has already obtained 41 certifications globally. It has established a three-dimensional security system covering six major areas to protect customers’ data sovereignty. This helps make HUAWEI CLOUD the most suitable cloud for the public sector and large enterprises. With eight years of experience cultivating its business in the enterprise market and going through digital transformation, 221 of the Fortune 500 companies have chosen Huawei to help build smart cities, smart factories, smart transportation, and smart urban parking. HUAWEI CLOUD is committed to nurturing the cloud ecosystem, with more than 6,000 partners and 2,800 online products available to help customers navigate digital transformation. HUAWEI CLOUD also provides the best service and support to customers, with local Huawei team supporting its global network in more than 170 countries worldwide. HUAWEI CLOUD currently has a total of 40 availability zones in 23 regions, enabling users to access the same platform globally. 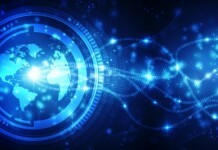 In the era of digital transformation, cloud and AI technologies are the fastest way for the region’s enterprises and authorities to accelerate innovation and stimulate growth. With initiatives that focus on Hong Kong, HUAWEI CLOUD is signaling its commitment to this important market. Speaking at Cloud Summit, Zhang Yuxin, CTO of HUAWEI CLOUD, explained why HUAWEI CLOUD offers customers full-stack services built on cloud and AI. “Our vision is to join hands with our Hong Kong customers, industry partners, and academic associations to build a smart future for this vibrant city, as well as to drive technology innovation and business development throughout the Greater Bay Area,” he said. Huawei’s services are particularly advantageous for Hong Kong’s positioning as a hub to connect with the rest of the world. For example, HUAWEI CLOUD Connect provides one-stop global compliance services, with 400+ POP nodes around the world to help enterprises create a global cloud network connecting more than 170 countries and regions within one minute. The HUAWEI CLOUD Stack (HCS) is a hybrid cloud solution that provides a unified, full-stack and reliable hybrid cloud capability for large enterprises, bringing full-stack technology innovation to customer data centers and providing zero latency with five unified industry-leading advantages. It offers customers a seamless experience during system upgrades. HUAWEI CLOUD customers in Hong Kong include ICBC Asia, Phoenix TV, HKT, Freeman Securities, Skyworth Digital, TravelSky Technology, and Four Directions, as well as many more across financial, technology, media and communications, campus and other industries. HUAWEI CLOUD hopes to be rooted in Hong Kong and serve Hong Kong through being an expert partner to help local enterprises transform towards cloud and intelligence. During the summit, Huawei announced the winners of the inaugural HUAWEI CLOUD AI Developer Contest co-organized by HUAWEI CLOUD, Hong Kong Society of Artificial Intelligence and Robotics (HKSAIR), and Hong Kong Science and Technology Park (HKSTP). He praised the young participants of the Contest and said, “I am thrilled with the creativity and innovation shown in your projects to solve our taste bud problems. AI + Talent are our future.” Sixty teams of developers entered the HUAWEI CLOUD AI Developer Contest. Under the theme “Love AI Cuisine”, teams used HUAWEI CLOUD’s full-stack ModelArts AI developer platform to develop an AI-coded system capable of identifying foods by learning from only a few sample images. The teams also faced questions from the judges from HKSAIR and HKSTP in a presentation round. All winning teams will be invited to visit Huawei headquarters in Shenzhen to learn about AI development. The winning team is eligible to enter the semi-finals of the China Huawei AI contest and receives an internship opportunity with HUAWEI CLOUD’s AI Lab, as well as Huawei Mate20 smartphones and HUAWEI CLOUD vouchers. The first and second runners-up also receive an internship opportunity with HUAWEI CLOUD’s AI Lab, Huawei Mate20 smartphones, and HUAWEI CLOUD vouchers. HUAWEI CLOUD also used the Hong Kong Summit to announce the launch of its AI Partners Club. Ten AI startups have joined the program so far. The AI Partner Cloud is a global program that helps partners build EI-based solutions by providing valuable business, technical, and marketing support, including advanced training and consulting and incubation services. To meet the varied needs of startups, HUAWEI CLOUD AI partner cloud is composed of AI incubator, AI intelligent alliance, AI technical support alliance, and AI consulting service alliance. The first 10 partners in the program are companies that specialize in deep learning, voice recognition, data analytics, and visual and voice data labelling across the healthcare, retail, campus, education, and fintech industries.